While pit bulls might have a bad reputation, there quite a loveable and playful breed. They’re also quite sensitive and require regular care to keep them looking and feeling the best. You have to bathe them properly and sometimes use special products. This means using the best shampoo for pit bulls every time. 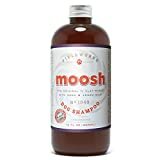 Picking the best shampoo out of all of the available options can be tough, but this guide is meant to help eliminate the confusion and tell you what’s available on the market that will best suit your needs. The various pit bull breeds are known to have sensitive skin that can lead to many different skin problems including dandruff, hot spots, hives, and sunburn. These conditions can cause them to scratch, bite, and lick themselves excessively leading to infections, hair loss, and even skin cancer. To keep these conditions to a minimum, you need to use a shampoo made to deal with your dog’s specific skin problem(s). Knowing that specific shampoos can help you battle back against skin conditions in your pit bull, you’re probably ready to shop around and find a product that’ll work for you. With such a saturated market, this search can be confusing and frustrating as you compare all of the available options. Here, you’ll find the best shampoos broken down by common pit bull conditions to help you narrow down your options. Most of the time, people think that the term “pit bull” is a specific breed but really the term includes different breeds including the American pit bull terrier as well as the American and British Staffordshire terriers. They are all short-haired breeds prone to skin conditions. The “blue-nose” variation, the chocolate coat, and the cream-colored skin variations are all more likely than others to develop different skin issues during their life mainly because of the skin pigment associated with these variations. With their natural sensitivities, pit bulls deal with frequent skin problems that can range from mild irritation to severe recurring infections. This, of course, depends on the individual dog and how you take care of it, but if you own any kind of pit bull you’re likely to deal with some kind of problem that will need your attention. While you can’t predict what your dog will go through, there are some things you can look out for. Pitbull breeds tend to suffer from seasonal allergies. In fact, the ASPCA says that this is the most common cause of skin problems in the breeds. Any kind of allergy can cause your dog to scratch excessively leading to making their skin raw and even bloody. If and when this happens, they can easily contract infections that will lead to greater problems. When your dog has patches of bare skin that get dry, itchy, and inflamed they’re called hot spots. They can happen at any time but occur more in the warmer months when your dog sheds and sweats more than usual. These are incredibly irritating for your pup and can lead to excessive scratching and biting to the point where your dog can remove layers of skin. This will leave raw tissues or bloody sores all over leading to additional problems. Thanks to the sensitive nature of pit bulls’ skin, they react quickly and severely to things like insect bites and sting, pest infestations, and sunburns. They also get irritated by strong products with harsh chemicals in them that they might come into contact with. This includes generic shampoos, detergents, household cleaners you use, and even the perfume or cologne you wear. Even though your pit bull is prone to a lot of bothersome and potentially dangerous skin conditions, there are things you can do to help prevent the issues from occurring too frequently. Using a vet-approved skin lotion or a softener regularly can help condition your pup’s skin so they experience less dry skin and irritation. You can also use sunscreen during the warmer months if your dog is outside a lot. Using flea and tick treatments should also become a habit if it isn’t one already. You should also find a specific shampoo made for sensitive dogs that can help prevent dry skin which will help prevent other issues related to excessive scratching. Proper and consistent grooming will also help prevent problems. Since pit bulls tend to be more sensitive than other breeds bathing can present a problem. Bathing your dog too often can actually lead to skin problems because washing them too much can dry out their skin instead of conditioning it. This can be worse if you’re using a generic shampoo that has artificial ingredients in it since those can cause irritation in sensitive pups. You have to find the right bathing frequency for your individual pet. In most instances, it’s recommended to bathe your dog only once or twice a month. This allows their natural oils to build back up after each bath. However, if your dog tends to get dirty often from being outside or is shedding a lot, you might see fit to bathe them more often. You should basically bathe your pit bull when necessary unless otherwise instructed by your vet. When grooming your dog always remember to take care of their ears. Your pit bull’s ears should be washed and dried properly to prevent ear infections. To help with this, it’s best to actually plug your dog’s ears with cotton during their bath. This will help keep water and soap out of them. You can also use medicated ear wipes to keep bacteria at bay. Between baths, check your pitty’s ears at least once a week to make sure they’re free of dirt and buildup. Between baths, you should brush your pit bull multiple times per week with a firm yet flexible bristle rubber brush. This will keep debris from accumulating on their coat. It’ll also help remove any dead fur that is still on their body. By removing all of this buildup through regular brushing you can limit the amount of irritation your pit bull deals with. By properly taking care of your pit bull, you can help prevent the skin problems that they’re likely to deal with during their life. Keep in mind that it’s always best to talk to your vet or a professional groomer if you’re unsure about what to do to help your dog or if you suspect that there is a more serious issue at hand that will need medical attention. If you’ve already sought out a vet or groomer, follow their recommendations or instructions to properly take care of your specific pet since they know them and you best. Since most pit bulls have sensitive skin, it’s best to use a shampoo specifically made for dogs with sensitive skin. You have to know what you’re dealing with so you can properly treat it. This means knowing the different skin issues as well as their symptoms. First, figure out what kind of condition you’re dealing with. Look for dry skin, flaking skin, redness, bumps or hives, inflammation, and similar visible symptoms. You should also look for bug bites or stings as well as infestations like fleas or attached ticks. This is probably one of the easier issues to spot since the fleas, ticks, or the bites can be apparent. As far as hot spots, look for inflamed, red bare skin (on spots where there is no fur) and watch to see if your dog is scratching or biting those spots. Once you realize what’s causing the skin condition, you can find a specific shampoo to help your furry friend. Pit bull shampoo for sensitive skin can help treat problems at the moment but can also help condition your dog’s skin and prevent problems from occurring. 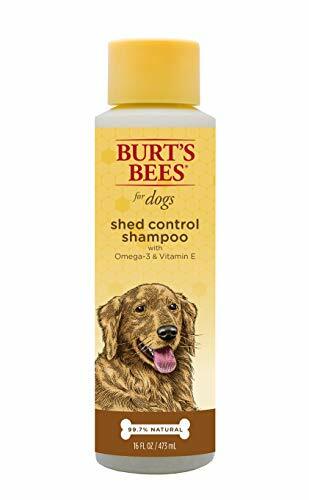 This type of shampoo can especially help dogs with allergies. Shampoo for sensitive skin is usually made with conditioning ingredients like aloe vera, essential oils, and oatmeal. They also won’t have things like artificial fragrances or dyes that tend to irritate dogs with sensitive skin. Be sure to read ingredient labels and see if there are any harsh ingredients that might bother your dog. Due to the short length of a pit bull’s coat and how thick it is, they can naturally suffer from dry skin that can even flake if it gets too dry. This can lead to itchiness and general irritation that will make your dog scratch more than usual. Scratching can make their skin raw and lead to things like bald spots, open sores, and ultimately infections. To help prevent and alleviate dry skin, pick up a pit bull shampoo for dry skin. These shampoos usually have more natural ingredients instead of harsh soaps and chemical additives. This is good because artificial ingredients can trigger allergies and irritate your dog’s skin more than it already is. Shampoos with artificial soaps can even dry out your dog’s skin more instead of hydrating it. Look for shampoos that are labeled for dogs with dry skin. These tend to include hydrating ingredients that will add moisture back in your dog’s coat and skin to help with their dry skin. You can also use skin softeners and give your pup supplements like wild Alaskan salmon oil that will add omega-3 fatty acids into their system. Healthy fats like this will nourish your dog’s skin and coat making it healthier. Here is a quick review of the top shampoos you can use for your pit bull. With pit bulls being prone to itchy skin and hot spots, using a shampoo that is made to treat these specific issues can help quite a bit. 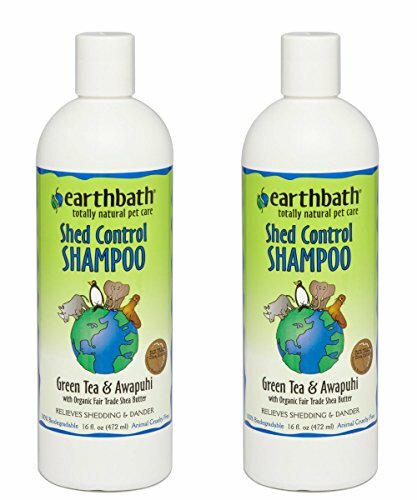 Earthbath is known for making natural dog shampoos that are great for sensitive dogs including pit bulls. 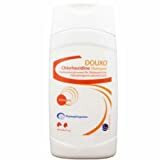 This shampoo features tea tree oil and aloe vera, two ingredients known for their effectiveness in treating irritation especially itching related to hot spots and insect bites. Both of these ingredients are soothing and natural making them great for alleviating itchiness and dryness. It can even clear up dermatitis and dandruff. You can expect your dog’s coat to be soft and shiny, too. 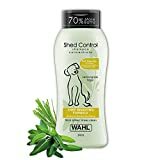 More so, this shampoo doesn’t contain harsh ingredients like perfumes, dyes, parabens, phosphates, or soaps making it ideal for pit bulls and their sensitive skin. If your pit bull suffers from allergies, their skin usually takes the brunt of the damage. If you notice your dog licking, biting, and scratching more than usual, you’re likely dealing with some kind of allergy. While your vet will properly diagnose the condition, using a shampoo made for dogs with allergies can help alleviate symptoms and prevent allergic outbreaks in the future. 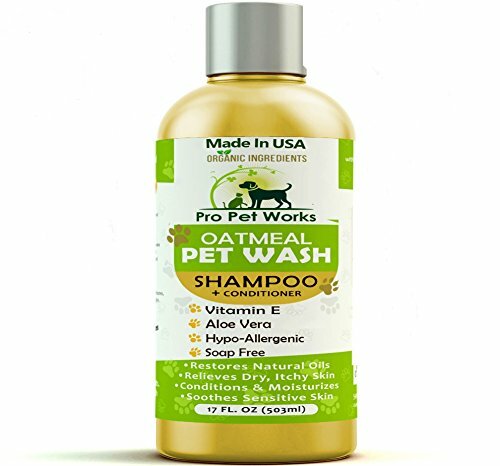 This natural dog shampoo and conditioner by Pro Pet Works is hypoallergenic so it contains safer ingredients that aren’t known to cause allergic reactions in dogs. This particular one is a top-selling brand among pet owners and has exceptional reviews. The shampoo is made with natural ingredients including oatmeal, almond oil, and aloe vera. 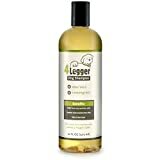 It helps treat dogs suffering from itchy and dry skin but also cleans and deodorizes your pup. The company itself is also dedicated to pets and makes natural products with your dog’s safety in mind. It’s their goal to minimize their impact on the environment while also making sure their products aren’t introducing artificial compounds into your dog’s system. More so, their packing is made from recycled materials and is biodegradable. If your dog is sensitive but also prone to getting into mischief, you might be looking for shampoos that will not only be good for their specific pit bull sensitivities but that will also clean and deodorize them. This is where Wahl’s Odor Control shampoo comes into play. This specific shampoo has a purifying formula that will clean and deodorize your dirty pup using mainly natural ingredients. This plant-derived formula is considered safe for pit bulls and other dogs with sensitive skin. It has eucalyptus and spearmint in it which lends to the natural fragrance of the shampoo. These ingredients also clean your dog naturally while the other ingredients condition their skin so help alleviate problems like itchiness and dryness. Pit bulls’ sensitive skin can lead to bacterial infections if they end up scratching and biting their skin until it’s raw and bloody. If your pup has a bacterial infection or deals with them all too frequently, picking up a shampoo made to help battle against this can help. Davis Benzoyl Peroxide Medicated shampoo is considered one of the best for handling bacterial infections in dogs. With a formula containing 2.5 percent benzoyl peroxide, this shampoo can treat skin disorders related to seborrhea dermatitis among other things. It is also able to open up your dog’s skin pores in order to flush out irritants including grease and harmful microbes. The shampoo, however, is strong since it has to clear up infections. However, there are moisturizing properties in it to try and hydrate your dog’s skin so it isn’t dried out by the stronger ingredients. If your dog isn’t overly sensitive, this shampoo can help your pit bull suffering from bacterial infections. Since adult pit bulls have sensitive skin it should be no surprise that pit bull puppies’ skin is even more sensitive. This is because puppies, in general, are more sensitive due to their young age tender systems. They need a shampoo that will not irritate them but one that will also get them clean. Burt’s Bees Tearless Puppy Shampoo is great for these purposes. This is specifically made for puppies and is recommended by veterinarians for the pH balanced formula that is considered safe for sensitive pit bull puppies. It’s made with natural ingredients that will soothe and nourish their skin while also cleaning them. The formula features honey, beeswax, and buttermilk powder to soften your dog’s coat and condition their skin. It’s so safe that you can bathe your puppy as much as necessary without worrying about irritation. As you can now see, there are a lot of shampoos available that are safe and effective for sensitive pit bulls. Whether you’re looking to clear up a specific skin condition or you’re just looking for something that your dog can tolerate on a regular basis, starting with these options when looking for the best shampoo for pit bulls can help guide your search and make it a little easier. Remember, if your pit bull is overly sensitive or you think there is a more serious issue at hand, make an appointment with your vet and get a proper diagnosis and treatment plan. If you have a pit bull, please comment and share what shampoo do you use and take care of various skin related issues!